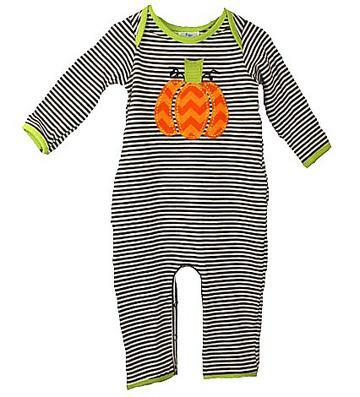 The brown and white stripe longsleeve onesie is ready for Halloween! 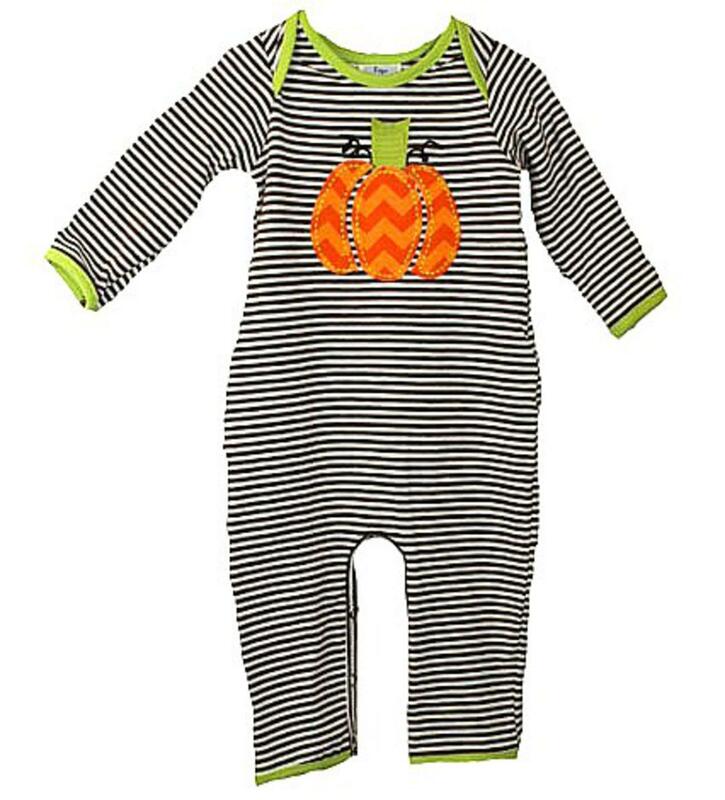 There is an adorable chevron orange applique pumpkin on the chest. There is green edging around the neckline, shoulders, sleeves and ankles. There is snaps along the inside of the legs to accomodate diaper changes. This super soft outfit is 94% cotton and 6% spandex.